Draft: 2011, Milwaukee Brewers, 2nd rd. Full name is Jorge Yabiel López…resides in Cayey, Puerto Rico with his wife, Karla and son, Mikael...Graduated from Caguas Military Academy in Cayey, P.R...At the time he was selected in the second round of the 2011 Draft by Milwaukee, he was Puerto Rico's secondhighest drafted pitcher ever behind Luis Atilano by Atlanta in the first round (35th overall) in 2003...Volunteered at a Special Olympics Clinic at Kauffman Stadium in 2018...also participated in Royals FanFest in 2019. Set career highs at the Major League level in wins (2), appearances (17), starts (7) and innings (53.2) across seven big league stints between Milwaukee and Kansas City...Started his season with Triple-A Colorado Springs, where he went 3-3 with five saves and a 5.65 ERA (18 ER in 28.2 IP) in 24 appearances...Went 0-1 despite a 2.75 ERA (6 ER in 19.2 IP) in 10 relief appearances-eight of which went at least 2.0 innings-with Milwaukee over six stints: April 11-17, May 4-10, May 13-24, June 12-16, July 7-11, July 23-26...Suffered his first loss on July 11 at Miami…recorded scoreless innings in the 10th and 11th, before yielding a walk-off RBI single to Starlin Castro in the 12th ...Acquired by Kansas City with OF Brett Phillips on July 28, for INF Mike Moustakas...Optioned upon joining the Royals' organization to Omaha (AAA), where he made two appearances… earned a 5-0 win over Salt Lake on Aug. 7 with 5.2 scoreless innings and seven strikeouts, his first start of the season...Recalled on Aug. 15 and made his Royals debut that night, a 6-5 loss vs. Toronto (6 ER in 4.2 IP)... Lost his second and third starts with Kansas City as well, on Aug. 20 at Tampa Bay (1 ER in 5 IP) and Aug. 26 vs. Cleveland (5 ER in 4 IP) ...On Sept. 2 vs. Baltimore (1 ER in 7 IP), recorded a careerhigh eight strikeouts and earned his first Major League win in 1,069 days, since Sept. 29, 2015 at San Diego (with Milwaukee), which was his Major League debut...On Sept. 8 at Minnesota, a 4-1 win, he became the first Royal to take a perfect game into the ninth inning, retiring each of his first 24 batters…allowed a walk and a single to leadoff the ninth, and was charged with a run after exiting with a career-high 8.0 innings…run snapped scoreless streak at 14.0 innings...In the Sept. 8 start vs. Minnesota, he opposed fellow countryman José Berríos, marking the first time two Puerto Rican-born pitchers started vs. each other since July 21, 2010, when the Angels' Joel Piñeiro opposed the Yankees' Javier Vázquez, according to Elias...López and Berríos met in their next starts, Sept. 14 in Kansas City…recorded 4.0 scoreless innings before being charged with three runs in the fifth, after colliding with third baseman Hunter Dozier while trying to field a high chopper in the previous frame…exited with a left rib contusion...Surrendered a career-high seven runs on eight hits in 1.0 inning plus three batters on Sept. 20 at Detroit, his final start of the season...Issued just one walk to the last 87 batters he faced over four-plus starts (20.1 IP)…the only walk was to Max Kepler on Sept. 8 in Minnesota, which broke up his perfect-game bid in the ninth inning...Held left-handed batters to a .242 average (30-for-124), but they accounted for five of the six HR he allowed… right handers hit .318 (27-for-85)...Held opponents to a .138 average (8-for-58) with two outs, tied for 10th best in the Majors (min. 60 batters faced). Went 8-8 with a 4.25 ERA and 7 saves in 39 games (13 starts) at Double-A Biloxi... Made 13 of his first 14 appearances as a starter... Was 3-6 with a 4.61 ERA as a starter (66.1ip, 34er) and 5-2 with a 3.62 ERA in relief (37.1ip, 15er)...Was named Brewers Minor League Pitcher of the Month for April (5gs, 2-1, 1.73era)... Was recalled by Milwaukee on 6/29 and optioned back to Biloxi on 6/30...His only appearance for the Brewers came in relief on 6/29 at Cincinnati (2ip, 4h, 1r, 1er, 1bb)... Made 2 starts for Puerto Rico in the World Baseball Classic, going 1-0 with a 3.86 ERA... Earned a win on 3/11 vs. Mexico (4.1ip, 2h, 1r, 1er, 2bb, 5k)... Received no decision on 3/20 vs. Netherlands (2.2ip, 4h, 2r, 2er, 2bb-1ibb, 1k, 1hr, 1hbp)...Pitched for Aguilas in the Dominican Winter League. Entered the year ranked by Baseball America as the second-best prospect in the organization...Began the season at Triple-A Colorado Springs and went 1-7 with a 6.81 ERA in 17 games, including 16 starts.....was transferred to Double-A Biloxi on 7/25 ...Went 2-4 with a 3.97 ERA in 8 starts at Biloxi...Combined to go 3-11 with a 5.78 ERA in 25 games (24 starts) for the season...Following the season pitched for Mayaguez in the Puerto Rican Winter League. Named Brewers Minor League Pitcher of the Year and Southern League Pitcher of the Year after going 12-5 with a 2.26 ERA in 24 starts at Double-A Biloxi…Ranked among the Southern League leaders in opponent batting average (1st, .205), wins (T1st, 12), ERA (2nd, 2.26) and strikeouts (3rd, 137)…Made 2 starts after his contract was selected by Milwaukee on 9/22…Made his MLB debut in a 4-3 win on 9/29 at San Diego (5ip, 8h, 3r, 3er, 2bb, 7k, 1wp).....his first career strikeout was Yangervis Solarte…His other start came in a 3-1 loss on 10/4 vs. Chicago-NL (5ip, 6h, 3r, 3er, 3bb, 3k, 1hbp)…Enters 2016 as the second-best prospect in the organization according to Baseball America. November 14, 2018 RHP Jorge Lopez assigned to Indios de Mayaguez. August 15, 2018 Kansas City Royals recalled RHP Jorge Lopez from Omaha Storm Chasers. July 27, 2018 Kansas City Royals traded 3B Mike Moustakas to Milwaukee Brewers for CF Brett Phillips and RHP Jorge Lopez. July 27, 2018 Kansas City Royals optioned RHP Jorge Lopez to Omaha Storm Chasers. July 26, 2018 Milwaukee Brewers optioned RHP Jorge Lopez to Colorado Springs Sky Sox. July 23, 2018 Milwaukee Brewers recalled Jorge Lopez from Colorado Springs Sky Sox. July 12, 2018 Milwaukee Brewers optioned RHP Jorge Lopez to Colorado Springs Sky Sox. July 7, 2018 Milwaukee Brewers recalled Jorge Lopez from Colorado Springs Sky Sox. June 17, 2018 Milwaukee Brewers optioned RHP Jorge Lopez to Colorado Springs Sky Sox. June 12, 2018 Milwaukee Brewers recalled Jorge Lopez from Colorado Springs Sky Sox. May 25, 2018 Milwaukee Brewers optioned RHP Jorge Lopez to Colorado Springs Sky Sox. May 13, 2018 Milwaukee Brewers recalled Jorge Lopez from Colorado Springs Sky Sox. May 10, 2018 Milwaukee Brewers optioned RHP Jorge Lopez to Colorado Springs Sky Sox. May 4, 2018 Milwaukee Brewers recalled Jorge Lopez from Colorado Springs Sky Sox. April 17, 2018 Milwaukee Brewers optioned RHP Jorge Lopez to Colorado Springs Sky Sox. April 11, 2018 Milwaukee Brewers recalled Jorge Lopez from Colorado Springs Sky Sox. March 9, 2018 Milwaukee Brewers optioned RHP Jorge Lopez to Colorado Springs Sky Sox. 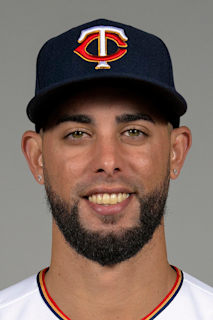 January 5, 2018 OF Jorge Lopez assigned to Indios de Mayaguez. October 13, 2017 RHP Jorge Lopez assigned to Aguilas Cibaenas. October 2, 2017 Milwaukee Brewers recalled Jorge Lopez from Biloxi Shuckers. June 30, 2017 Milwaukee Brewers optioned RHP Jorge Lopez to Biloxi Shuckers. June 29, 2017 Milwaukee Brewers recalled Jorge Lopez from Biloxi Shuckers. March 13, 2017 Milwaukee Brewers optioned RHP Jorge Lopez to Biloxi Shuckers. October 3, 2016 Milwaukee Brewers recalled Jorge Lopez from Biloxi Shuckers. July 25, 2016 RHP Jorge Lopez assigned to Biloxi Shuckers from Colorado Springs Sky Sox. June 23, 2016 Colorado Springs Sky Sox activated RHP Jorge Lopez from the temporarily inactive list. June 16, 2016 Colorado Springs Sky Sox placed RHP Jorge Lopez on the temporarily inactive list. March 14, 2016 Milwaukee Brewers optioned RHP Jorge Lopez to Colorado Springs Sky Sox. September 22, 2015 Milwaukee Brewers selected the contract of Jorge Lopez from Biloxi Shuckers. March 15, 2015 RHP Jorge Lopez assigned to Milwaukee Brewers. March 30, 2014 RHP Jorge Lopez assigned to Brevard County Manatees from Wisconsin Timber Rattlers. April 29, 2013 Wisconsin Timber Rattlers activated RHP Jorge Lopez from the 7-day disabled list. April 21, 2013 Wisconsin Timber Rattlers placed RHP Jorge Lopez on the 7-day disabled list retroactive to April 17, 2013. March 30, 2013 RHP Jorge Lopez assigned to Wisconsin Timber Rattlers from DSL Brewers. November 7, 2012 RHP Jorge Lopez assigned to Indios de Mayaguez. November 7, 2012 Indios de Mayaguez activated RHP Jorge Lopez. November 7, 2012 Indios de Mayaguez placed RHP Jorge Lopez on the reserve list. July 24, 2012 Jorge Lopez assigned to DSL Brewers from AZL Brewers. November 4, 2011 RHP Jorge Lopez assigned to Indios de Mayaguez. August 14, 2011 Jorge Lopez assigned to AZL Brewers from Milwaukee Brewers. August 13, 2011 Milwaukee Brewers signed RHP Jorge Lopez.